NEWARK, NJ - The founder of a Newark grief support center for dealing with the death or life-altering illness of a relative has been featured as CNN Hero. Mary Robinson lost her father at the age of 14 and would later go on to be the executive director of the nonprofit Imagine, A Center for Coping with Loss in 2011. 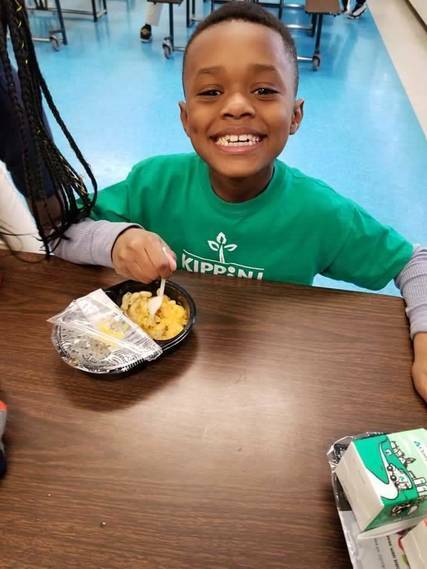 “My commitment is to create communities where children coping with loss get the support they need to thrive, be resilient, and grow up emotionally healthy and able to lead meaningful and productive lives,” said Robinson in a statement. 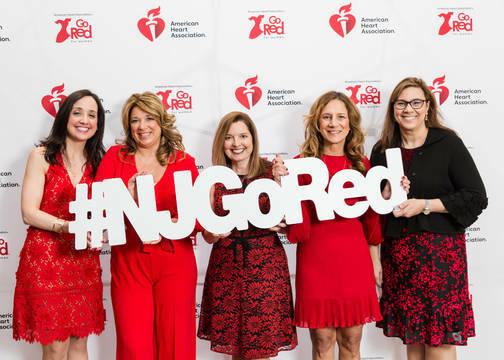 The organization provides free peer grief support for as long as needed to children, young adults and families dealing with the loss or illness of a parent, sibling or child. Imagine also has a location in Mountainside. The nonprofit also offers on-site support in schools and workplaces following any traumatic loss. Imagine has served over 700 families and provided education and training to thousands of adults, children and teens. CNN Heroes has received more than 85,000 nominations from more than 100 countries in the last 12 years. The program has profiled more than 300 CNN Heroes who are working in more than 80 countries around the world, helping millions of people. 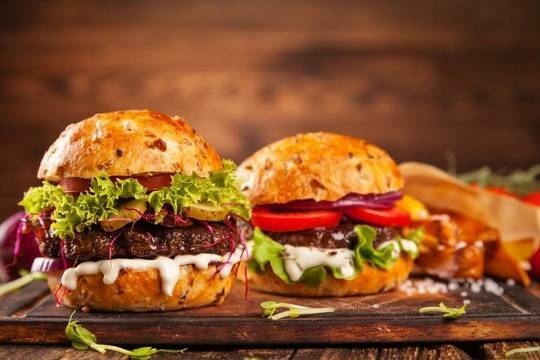 Download the TAPinto mobile app for Android or iOS. MONTCLAIR, NJ - The Montclair Police Department, in honor of National Autism Month, wants you to come out and register your loved ones that may have any sort of special needs on April 27th 1pm to 4pm, located at South Park Street. By doing this, officers in the field will have valuable information regarding your loved one if they were to ever go missing. 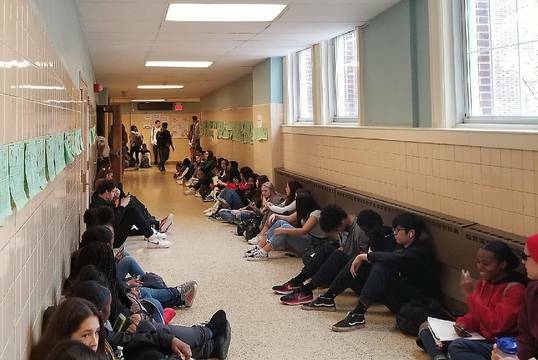 HACKENSACK, NJ – An Easter egg design created by a senior at Hackensack High School will represent New Jersey at the White House Easter Egg Roll Monday in Washington, D.C., the New Jersey Department of Education announced Thursday. 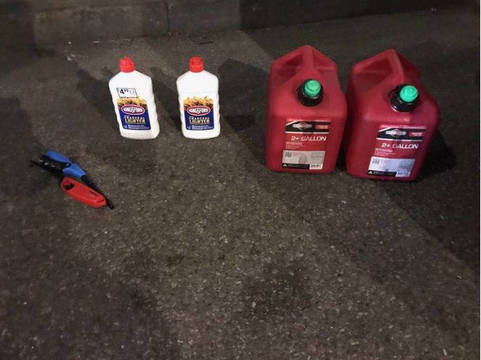 Marc Lamparello, 37, of Hasbrouck Heights, was arrested on Wednesday night for trying to carry cans of gasoline, lighters and lighter fluid into St.
MONTCLAIR, NJ - Students throughout Montclair High School sat in the hallways on Thursday for 13 minutes to pay tribute to the 13 students who lost their lives in the Columbine High School shooting 20 years ago. 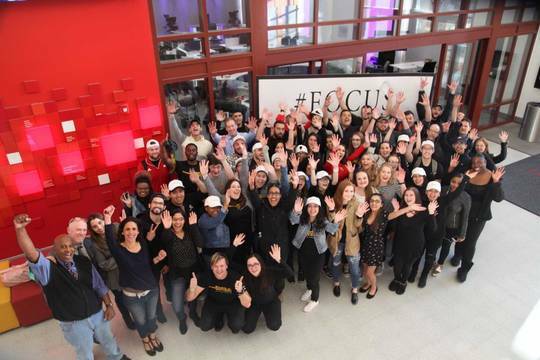 MONTCLAIR, NJ - Montclair State University's School of Communication and Media launched a #FocusImmigration thunderclap project to shed new light on the pressing issue of immigration. 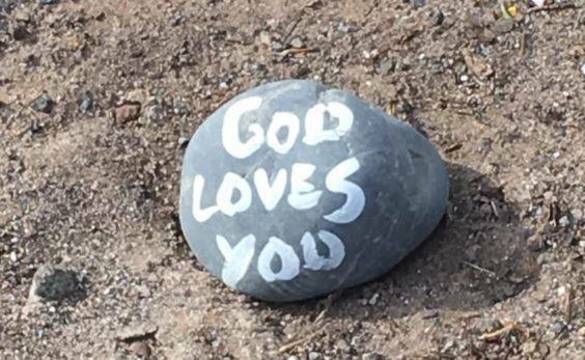 BLOOMFIELD, NJ - The mystery surrounding all of those "God Loves You" painted rocks appearing in Essex County Brookdale Park over the last month has been solved. They are a part of a greater message about sharing God's love shared by members of Brookdale Reformed Church. 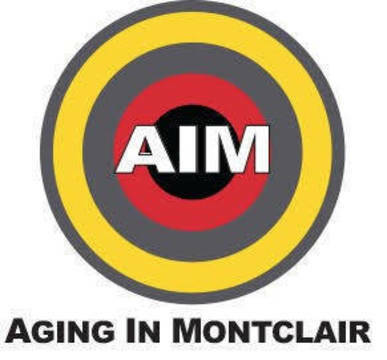 MONTCLAIR, NJ - Aging In Montclair invites the community to their April Saturday Social on April 27 from 2:00 to 4:00 pm at The Salvation Army Building located at 13 Trinity Place In Montclair in the Coffee Booth. This month there will be a presentation on CBD (the non-psychoactive component found in hemp). MONTCLAIR, NJ - Nicolo's Bakery, located on Baldwin Street, was vandalized on April 14 when a suspect knocked over a large panter and broke the glass front door. 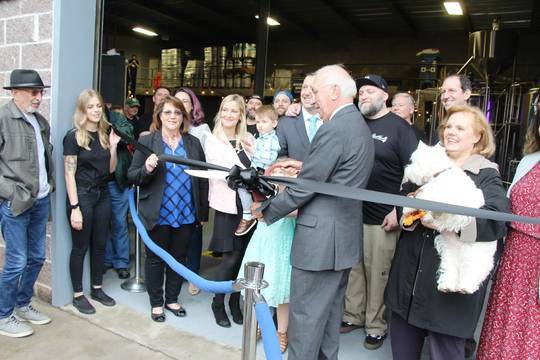 According to police, an unknown person knocked over a large planter in front of the store and then threw a brick through the glass front door after business hours, when the store was closed. MONTCLAIR, NJ - A suspect assaulted a 65-year-old food delivery driver after being caught rummaging the vehicle. On April 12, the delivery driver returned to his vehicle parked at Lackawanna Plaza to discover that a side window had been broken and a suspect was rummaging through his vehicle.